It is good company and an excellent profile. Look for my feature tomorrow morning [expected to be published in the AM]. 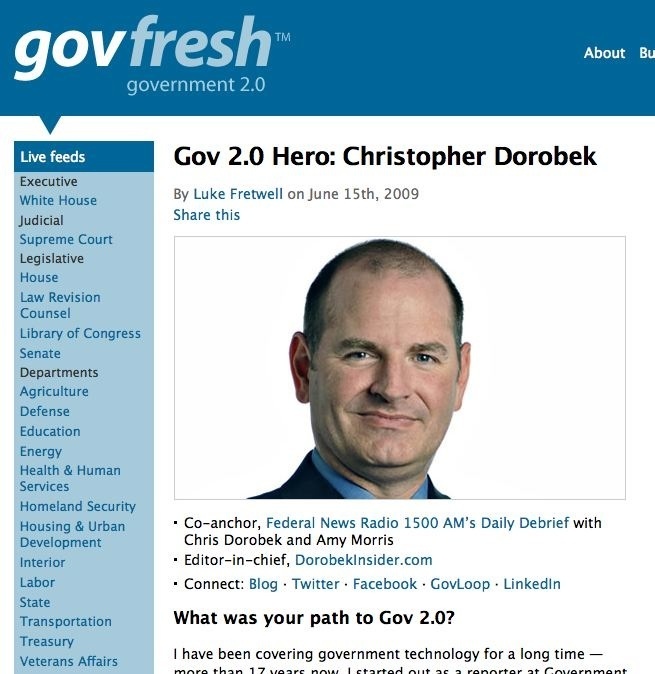 Its OK to toot your own horn, the Gov 2.0 reach is still growing.